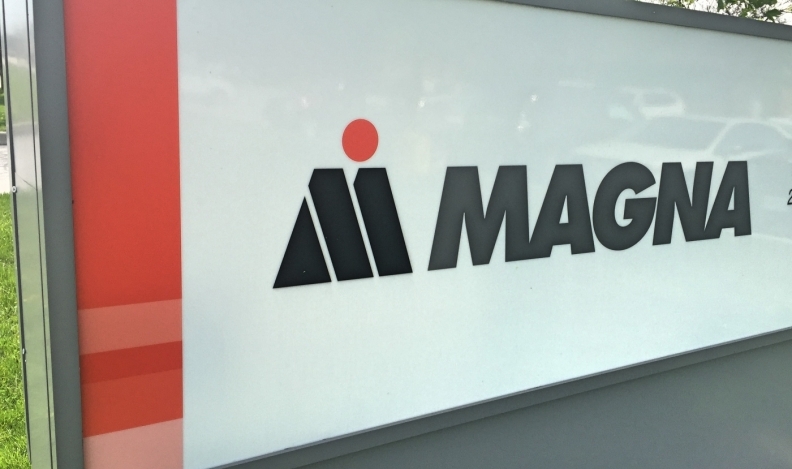 Canada’s Magna International says proposed changes to Ontario labour laws would make doing business in the province nearly impossible for the auto parts giant. Magna made the assertion in a submission to the Ontario legislature’s standing committee on finance, which is gathering public input on the Fair Workplaces, Better Jobs Act. Proposed changes within the act include a $15-an-hour minimum wage, more paid leave for employees, stricter scheduling laws and equal pay for full-time and temporary workers. “For the first time in our 60-year history we find ourselves in the very untenable position of questioning whether we will be able to continue to operate at historical levels in this province, Ontario has increasingly become a very challenging jurisdiction in which to conduct business,” Magna said in its submission, dated July 19. Magna said the cost of electricity, increased payroll and pension costs, new provincial cap and trade policy, and some of highest personal income tax in the G7 already pose difficulties. Tier 2 and Tier 3 supply facilities, some of which have contracts with and supply Magna, “will be extremely sensitive to labour cost increases,” Magna said. The minimum wage is set to rise to $15 an hour on Jan. 1, 2019, from $11.40 today. Magna suggested a phase-in to the higher wage “in the range of 3-5 years” to let companies adjust long-term contracts and labour agreements. While Magna called some additional unpaid leave-of-absence entitlements “the right thing to do,” it said additional personal emergency leave days and two more paid sick days “will add significant cost” for parts makers. The proposed provision allowing employees to refuse scheduling changes with less than four days’ advance notice “is completely impractical for the automotive industry” because it uses just-in-time delivery and regular daily overtime, Magna said. “Overly restrictive practices of this nature will effectively make just-in-time production impossible in Ontario,” it wrote. Magna said it is worried about being able to remain competitive globally, calling the changes "restrictive" and "uncompetitive." “Companies like Magna are generally not competing for business against other firms in Ontario — but with manufacturers on the global stage, and most particularly, in nearby states like Michigan, Ohio, Tennessee, Georgia and elsewhere,” it said. The Automotive Parts Manufacturers’ Association said in its own submission to the committee that it wants a “trade sensitivity exemption formula” for export-oriented businesses, like those in the auto industry. “Their ability to compete in a global market should not be subject to cost increases and perception devaluations caused by the blanket provisions used to target industries that take advantage of their workforce,” APMA President Flavio Volpe wrote. Volpe didn’t outline or detail how the formula would work. In June, the Ontario government told parts makers gathered for a conference in Windsor, Ont., that a new economic relief package will help offset costs incurred due to a 32 per cent increase in the province's minimum wage. The minister of economic development, Brad Duguid, said the eight-point plan includes a reduction in regulatory costs, a decrease in the number of inspections for habitually compliant companies, and increased national and international harmonization when developing new Ontario regulations. The deadline for submissions to the committee reviewing the legislation is today.